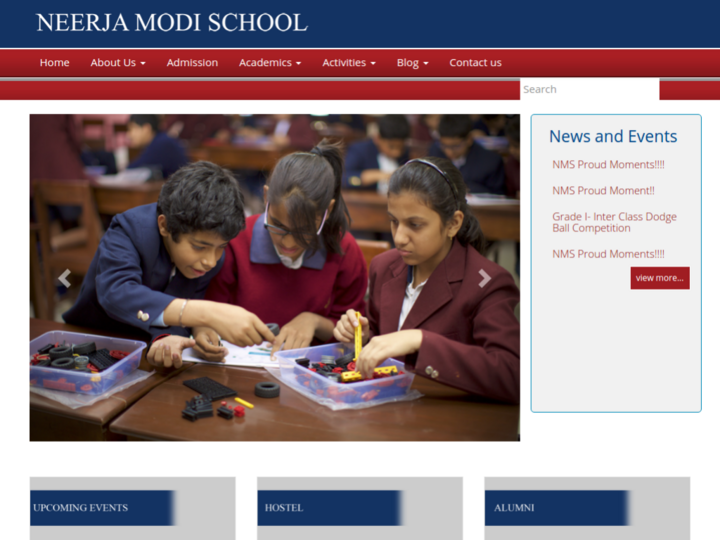 Neerja Modi School, is a co-educational, non-sectarian day school serving grades kindergarten to 12th. Through a unique learning experience which will enrich the child both academically and personally we strive to cultivate the leaders of tomorrow, today.Founded in April 2001, NMS has a strength of 2550 students and 300 faculty. Located in the cosmopolitan metropolis of Jaipur, we have developed a student body that hails from all parts of India and the world. Our staff and faculty are highly qualified, progressive, and resonate with the same diversity as our children.